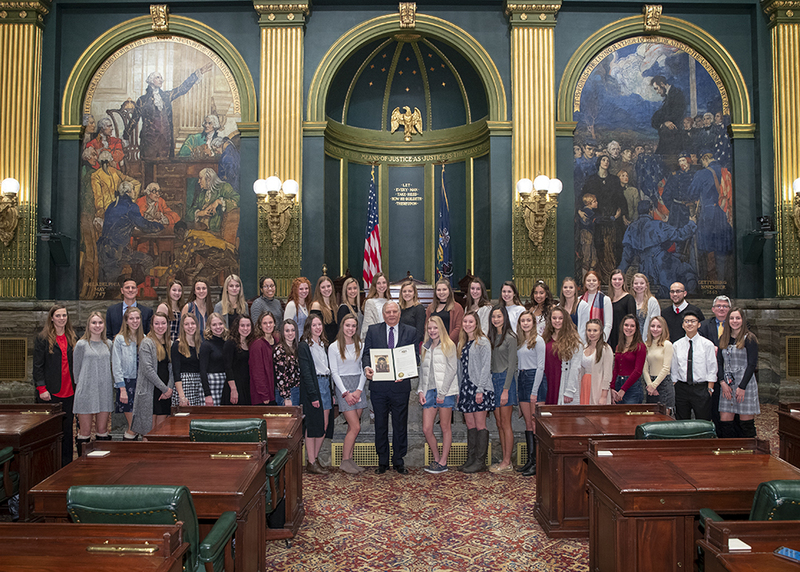 Harrisburg – Senator Bob Mensch (R-24) and Representative Marcy Toepel (R-147) welcomed and recognized the Souderton Area High School Girls’ Soccer Team for winning the 2018 PIAA State Class 4A Girls’ Soccer Championship. 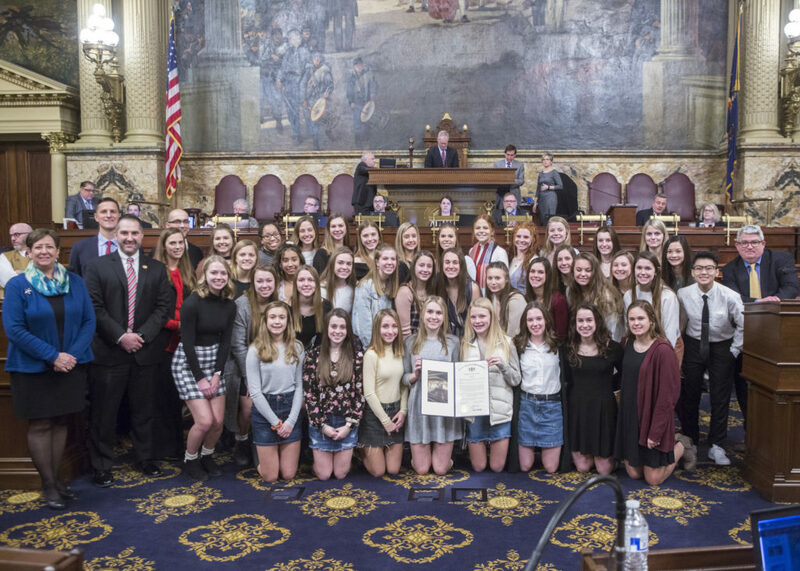 The Souderton Area High School Girls’ Soccer Team won the State title by defeating Pennridge High School with a score of 1 to 0 in overtime. “Claiming the championship represents more than simple athletic ability. It speaks to both training and hard work in pursuit of excellence. 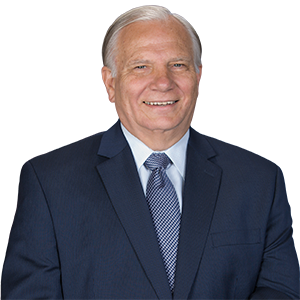 The success these young women are enjoying now can inspire each of us and serve as a reminder of all that can be accomplished with dedication,” Toepel said.